Cycling is a sport or exercise that requires energy, precision and safety measures. There had been times where cyclist experienced accidents that caused injuries, and without some form of safety apparel, they’d have been dead. Thankfully, there are outfits specifically designed for such sporting activities. This cycling jacket is one that gives absolute comfort during cycling, whether you’re racing or just taking a short ride uphill. With a cycling jacket, as a lady, you can feel free to ride however you please, you’re safe and secure in it. The fabric: First of all, you must know the type of fabric from which the jacket you plan to buy is made from. A knowledge of this will help in determining which fabric is comfortable and gentle or if it’s waterproof. Reflectors from the jacket: Secondly, you must also find out if this jacket you want has reflectors. Reflectors are important because you might be forced to ride at sunset a time where some care drivers might not see you. But with the reflectors shining dazzling, you’ll be noticed and out of harm’s way. Weight: The weight of your jacket will greatly contribute to how you use it. Too heavy, then less use, but if it’s lightweight you can feel comfortable and use it as many times as possible. Collars and sleeves: Lastly, the collars and sleeves should have to suit you perfectly. You don’t want to purchase a jacket with really large sleeves; this will make you feel uncomfortable. 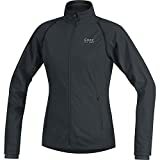 The gore bike wears women’s jacket is a cycling jacket for ladies who partake in mountain and road cycling. This jacket is made purely out of 100% polyester and is breathable. Features that accompany this jacket include the reflector, which will announce you at night, in a case where you must ride at the time. Secondly, this jacket is waterproof (preferable water-resistant), and also windproof, which means It can handle a considerable amount of the wind that could come your way when riding. This jacket will also keep you warm and dry when it rains, as a result of the soft shell technology. Another feature if this jacket that you may like is the high collar it comes with to prevent you from cold and a sleeve with thumb holes which make them very stylish. It’s also easy to open and close with its full-length zipper, and a small front pockets with zips where you can keep your keys in. This very stylish jacket is a very stylish and durable jacket, and you should get it. The collars are tailored in a way to protect you from cold. The sleeves are fitted with cuff and thumbholes for a perfect fit. In this section, we’ll be talking about the features of these benefits of this jacket. 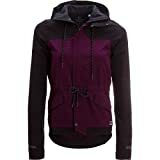 Nature of the Material: This jacket as earlier stated, was made out of pure polyester which is waterproof (preferable water-resistant) and windproof. The material has a soft shell technology that will help to keep you warm and dry inside while shielding you from the cold. This jacket material also has reflectors that glow at night. The reflectors help to ensure you’re seen at night while riding. 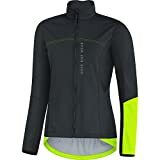 Stylish Appearance: The gore bike women’s jacket for cycling is a very stylish jacket with high collars and sleeves with elastic material and thumb holes. It is also a very comfortable fit and will be wearable all year round. Zips & Pockets: This jacket has a full-length zip in front of it and small zips for the pockets. The front zip helps you to easily put on and take off the jacket easily, while the pockets will be useful in keeping your keys, phone, or mp3 safe. Question: Is it possible that this jacket can be used below freezing? Ans: No you cannot use this jacket for a weather condition below freezing. Question: How long can I wear or use this jacket for? Ans: You can use this jacket all year round without complaints. Question: Are the reflectors functional; I have to ride after sunset for a while? Ans: Yes, the reflectors are very visible. Question: Is this jacket waterproof (preferable water-resistant)? Ans: Yes it is waterproof (preferable water-resistant) and will grant you warmth when you use it. In our present age, nothing goes unverified by the internet. If you’re going to make any purchase, then you should confirm online that this product is valuable and functional. Secondly, you can also check for the ratings of this product in an online market to be sure of what you’re buying. And I guarantee, you will be amazed, as this jacket has a very high rating. The gore bike women’s jacket is a superb jacket, and it’s one you should purchase. However, humans have several preferences and just if you want to get an alternative, allow me to recommend the best possible alternative to you. This top-rated Windstopper is a beautiful five-star jacket, that’s slim fit, wind and waterproof (preferable water-resistant). It is ideal for winter and is breathable. Another thing is that it’s got three pockets at the back, a full-length zipper in front with semi slide lock, and a very visible reflector. This jacket is however on the high side, but quality always comes at a cost, it’s never free. Some other related Jacket of Gore Bike. 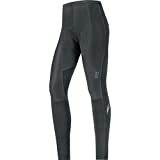 The Pearl Izumi, on the other hand, is quite affordable and also has great features. This jacket is made from pure polyester and can be used in both the fall and winter. It is the wind and waterproof (preferable water-resistant) but not as thick as the previous one. Nevertheless, it’s a good jacket, and if you’re in search for something affordable, then this is it. Cycling jackets are important to every cyclist be it mountain or road. On some days the weather is warm and comfortable, on some other days, not so warm. Getting a jacket is not just an attempt to look good, it’s also a safety measure. A good jacket will help to protect you from the cold, the wind, and even possible injuries. 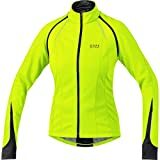 This Gore jacket is a perfect description of what a cycling jacket should be and if you want to get it, then visit any online market for it. 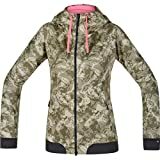 The gore bike women’s jacket is not one that can hide; it’ll be easy to find.